A new study published in Science finds that mammals are becoming more nocturnal in response to human activity. Human activity is causing the planet’s mammals to flee daylight for the protection of night, according to a the new study from UC Berkeley. The study, published in the journal Science, and supported in part by the National Science Foundation, represents the first effort to quantify the global effects of human activity on the daily activity patterns of wildlife. 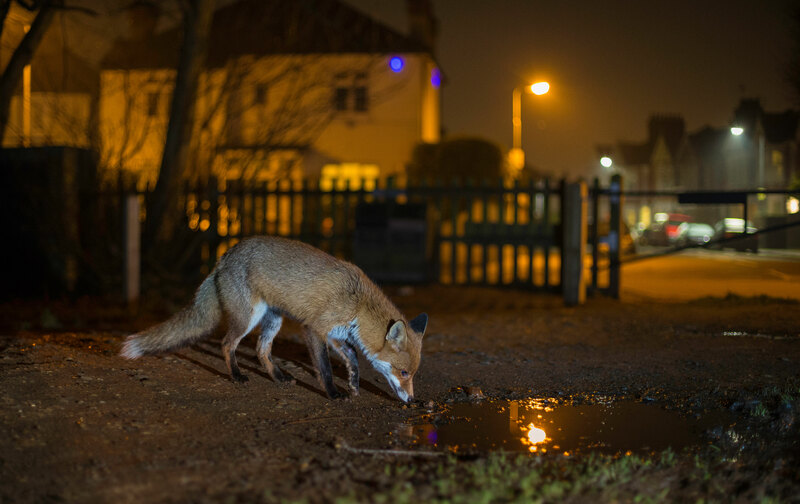 Its results highlight the powerful and widespread process by which animals alter their behavior alongside people: human disturbance is creating a more nocturnal natural world. “Catastrophic losses in wildlife populations and habitats as a result of human activity are well documented, but the subtler ways in which we affect animal behavior are more difficult to detect and quantify,” said Berkeley PhD candidate and study lead author Kaitlyn Gaynor. This study represents the first effort to quantify the global effects of human activity on the daily activity patterns of wildlife. The authors describe a range of potential negative consequences of the shifts they report in wildlife, including mismatches between the environment and an animal’s traits, disruption of normal foraging behavior, increased vulnerability to non-human predators, and heightened competition. They point out, however, that while many of the studies included in their analysis documented a clear increase in nocturnal activity, few examined the consequences for individual animals, populations, or ecosystems. “We hope our findings will open up new avenues for wildlife research in human-dominated landscapes. We still have a lot to learn about the implications of altered activity patterns for the management of wildlife populations, interactions between species, and even human-induced evolution,” said Gaynor. Citation: The influence of human disturbance on wildlife nocturnality.